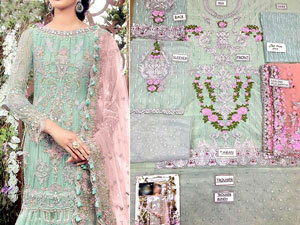 When we think about the Mehndi function, the first color combination that comes to mind is yellow and green. 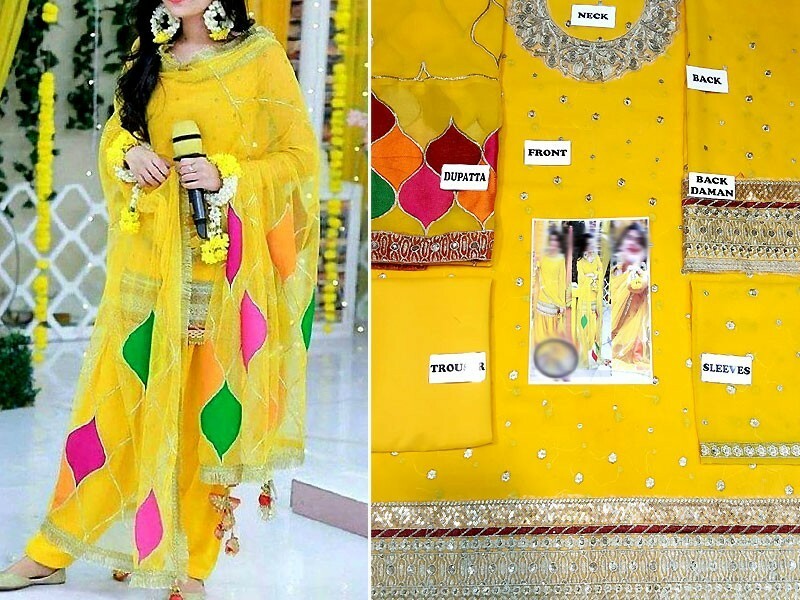 Yellow and green are universally known as the best color combinations for the Mehndi dresses, as well as are must worn by the brides or the wedding guests. If you don't want to look ordinary in the traditional color combination of yellow and green, you can try out different hues of both the colors. 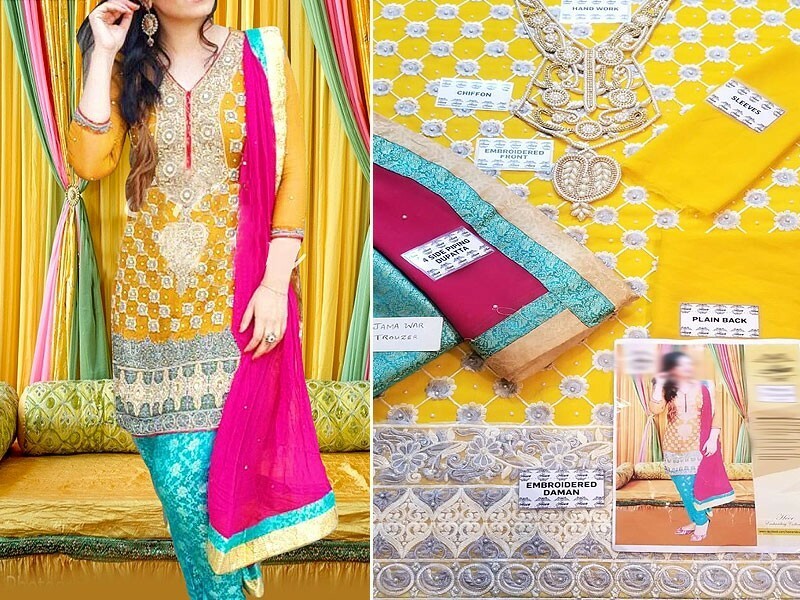 Since yellow is quite a bright color and might not be flattering on everyone, you can choose from different tones of yellow to find the one that best suits you. 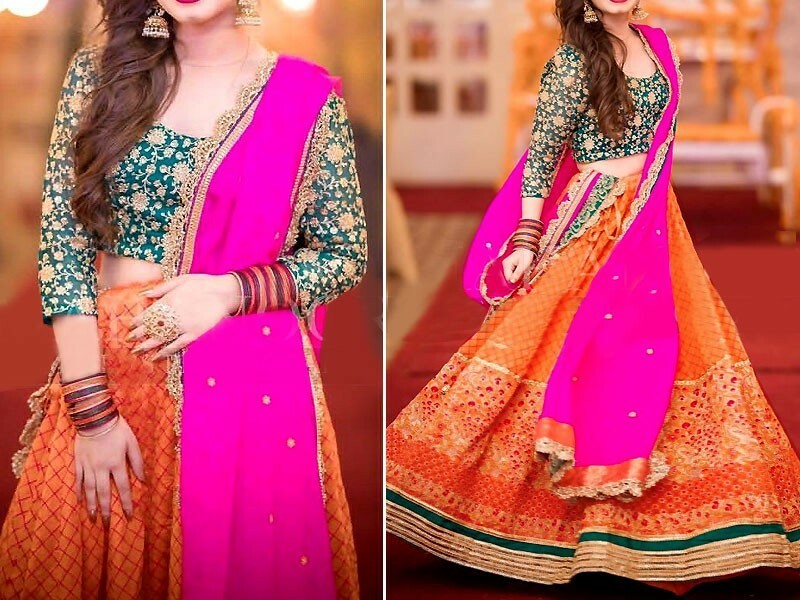 Orange is another very suited color to be worn to a Mehndi event since the hue matches the marigold flowers that are diversely used in the decorations for a Mehndi function. You can either go with a complete orange attire or dresses in color combinations of orange and pink, orange and yellow, as well as orange and green also look very lovely. Since orange is a warm tone shade, it flatters the warm undertones of our Asian skin tones and looks flattering on most women. 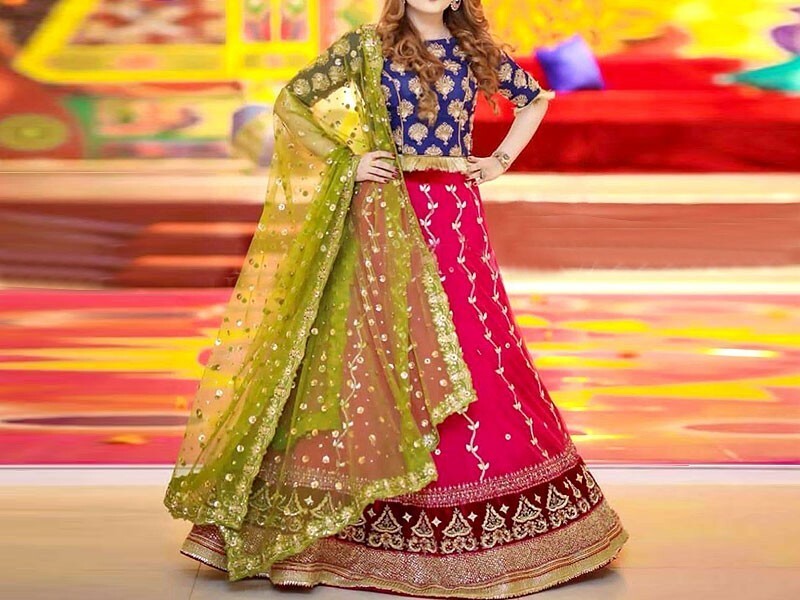 A heavily embellished long length orange shirt, paired with a jaal work pink colored net dupatta, along with a green sharara, will look gorgeous on any Mehndi bride. Purple is the type of color that you can style for any of the wedding functions and it is also among those colors, which looks lovely paired with any other color. 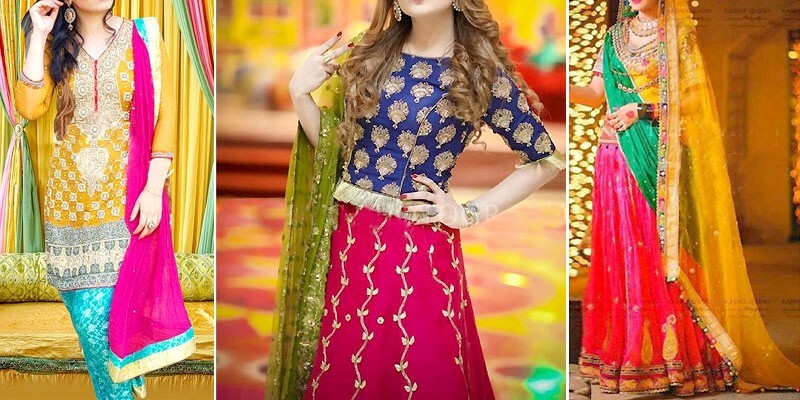 If you want to look like a princess bride and want something different for your Mehndi function, we have just the perfect color combination for you. 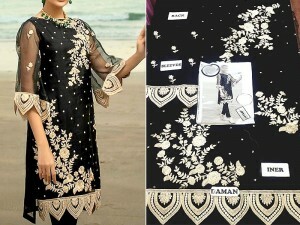 Style a pink-hued, fully embellished, long-sleeve shirt that has a round neckline, with a green toned jamawar gharara, and a lightly embroidered net or chiffon dupatta in purple color, to your Mehndi function. 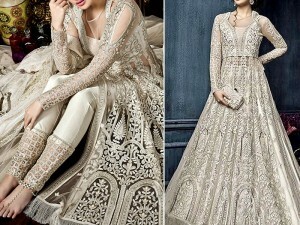 You are surely going to make the most beautiful Mehndi bride, no one can take their eyes off.